Seven years ago, I left my homogenous, suburban life to plant a church in the inner city of Denver where I’ve spent the last thirty years of my life. 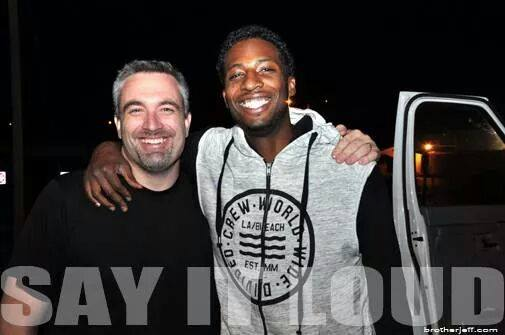 A mentor of mine in the early years of this journey, an African-American man named Ted Travis, told me, “Jason, the church has all but completely lost the idea of what it means to love your neighbor.” I didn’t understand what he meant that day, but seven years later, I believe I have a better understanding. We live in a separated and segregated world. Minority and majority cultures, by and large, do not understand or interact with one another in deep and meaningful ways. Because of my calling, I was thrust into an environment where I could no longer be passive in this area. Ted told me, “You can’t solve a problem you don’t understand, and you can’t understand from a distance.” This meant I needed to get up close, listen, try to understand, challenge my assumptions, assess any hidden inner racism from which many of us suffer as a result of living in a divided society, and just love. I needed to form deep and meaningful relationships with people across the racial and socio-economic divide. I needed to be a neighbor. Part of this seven year journey led me to Ferguson, Missouri. 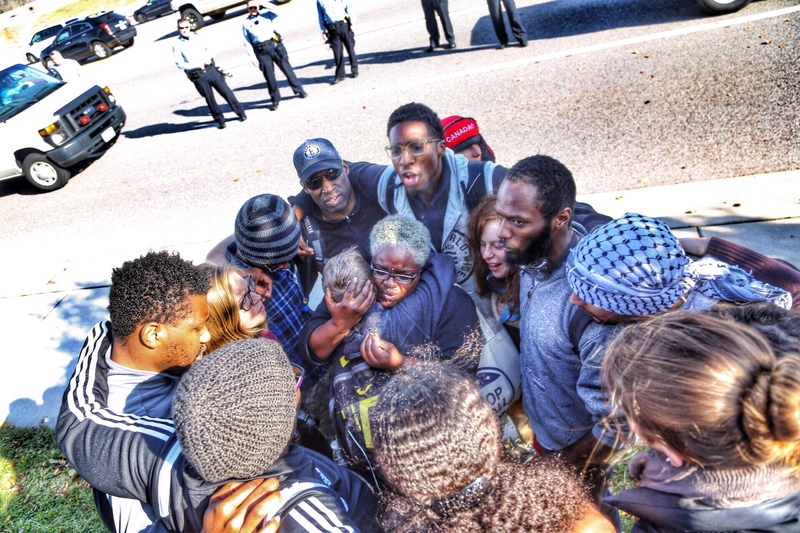 On Saturday, November 29th at 12:35pm, I was arrested in St. Louis. I was part of the Denver Freedom Ride organized by a pastor in our neighborhood, Anthony Grimes, and we went to Ferguson at the request of local religious leaders who desired support and encouragement. Our demonstrations were sourced in the long tradition of non-violence and were designed to speak out against the injustices experienced by minorities at the hands of law enforcement, not just in this case but in the countless cases over the years, both seen and unseen. This was one of the many reasons I joined the ride (For a full list of reasons, you can read my article here). The circumstances around my arrest are that a group of 300 of us gathered on Saturday around a retail center and made several peaceful demonstrations and protests in retail establishments. These were designed to gain attention and to spread the message that minorities have had it with injustice. Upon leaving, we moved up the sidewalk and stood on a grassy hill. The police came and lined up about fifteen feet from the curb, and it became a stand-off. The gap in our country couldn’t be visualized any better: A bunch of white people in blue uniforms and clubs standing against a diverse crowd of citizens demanding their rights. Power vs. the people. I stepped off the curb to get a snapshot of the spacious gap and was immediately reprimanded and told that if I did it again, I’d be arrested. I didn’t know you couldn’t even step into the street. The officers seemed pretty adamant about serving and protecting the asphalt. The reason they gave was that I might impede traffic. It was kind of ironic to me that since the street had been shut down by the cops, there was no such thing as “traffic” to block. I like to push the line. That’s where I learn – on the edge. But when push comes to shove, I usually walk the line. I’ve never been arrested. I respect law enforcement, and I appreciate the work they do. I collaborate with Denver police on a number of fronts, and we have had a great working relationship. I decided to just go along with the crowd. The group moved up around the corner. The same line developed. I thought to myself that this would actually be a better picture because there was nothing in the way of a clear shot. I was on the sidewalk and saw a crosswalk where you could walk out to a mini-island. Standing there would give me the perfect picture. A police van was pulling up on my left, but he stopped for me so I could walk across the crosswalk. I nodded to him, walked across the street and stood on the sidewalk being careful not to step on the street. 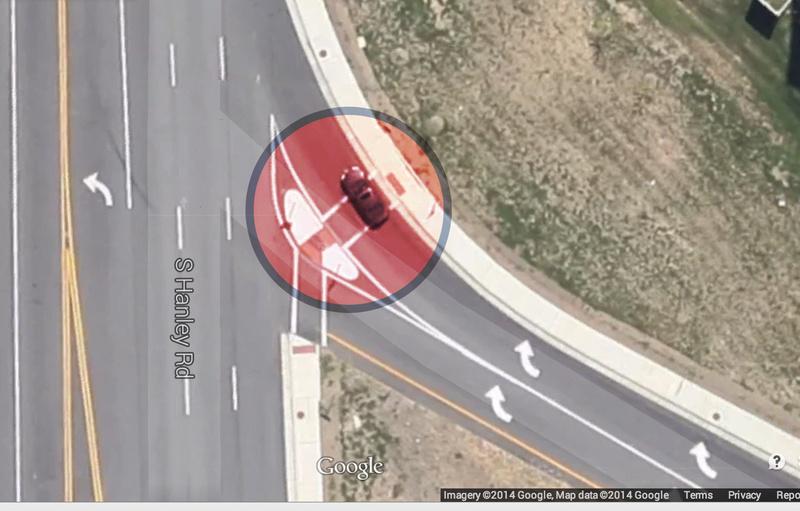 The same officer who had warned me before was about fifty feet away. He turned around and saw me perched on the median and immediately ordered my arrest. I asked him what I did that was wrong since I was on the sidewalk. He looked flustered and said, “You…you…you didn’t walk across the crosswalk!” I told him that wasn’t true, but he wasn’t listening. Immediately, several officers came over to me and followed his directions. I was placed in handcuffs, and the paddy wagon was summoned. I couldn’t believe what was happening! I was being arrested by a St. Louis police officer for something I didn’t do. The story of what happened was no longer mine to tell. I had lost all power, and his narrative was going to win. My mind raced. My son! My third son had joined me on the trip, but he’d have to be cared for by our group. Thankfully, we had a great group that he trusted and knew would watch over him. It occurred to me that I had the bus key that was transporting my son and about twelve of the other freedom riders. I looked at the female officer and asked her if she could just take the key out of my pocket and give it to our team. It was in my front pocket, and I was cuffed. I explained my 12-year-old son was in the crowd, and I wanted to make sure he was ok. She wouldn’t listen. I pleaded with her two more times, and finally she talked to a higher up who agreed. She dug the key out of my pocket and handed it to our videographer. 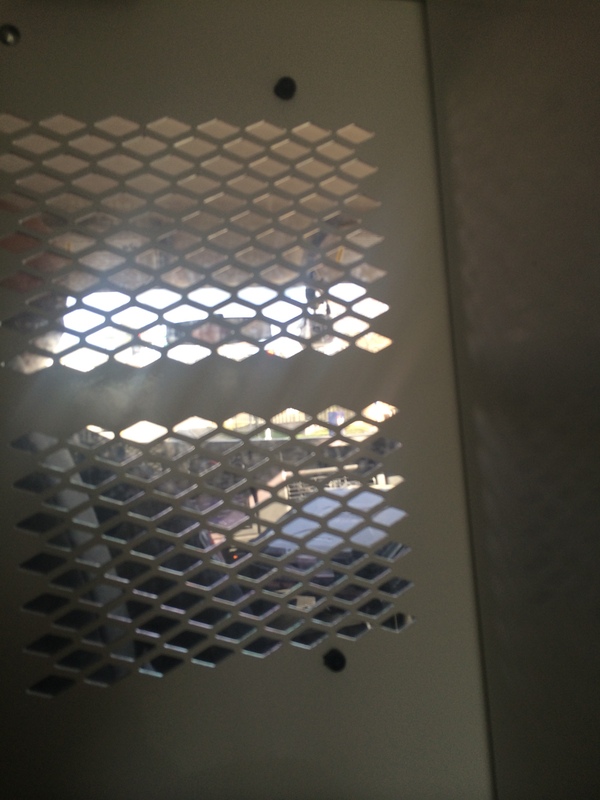 I was loaded into the back of the police van. It was hot, sterile, and cramped. The sirens went off and this offender was headed to the slammer. This was not my design. As an organized protest, it was part of our plan to speak loudly but to avoid arrest so as not to shrink our numbers. In the morning planning meeting, some people were talking about making a statement by getting arrested and I told my son that we would not be part of it. I had no intention of getting arrested or putting us in harms way. My emotions started with embarrassment. I messed up. I hurt the movement. Stupid rookie! If you got arrested, it was planned and you did it as a group to make a larger statement. Then, I moved to anger. I was angry that I had been falsely accused. Angry that the country I love is so divided. Angry at the cost of what it had taken to be engaged in the fight. Angry that this would all be misunderstood. Angry that this would be used by the majority culture to discount what was being said. I then moved into responsibility mode. As a father, my son was out of my view. What was he feeling? What is it like to watch your dad get handcuffed and hauled off like a criminal? I just wanted to be with him. He’s a tender guy with a passionate heart. But I couldn’t be there with him. And I could do nothing about it. What does this mean as a pastor? How would my church feel about this? What about our non-profit work? We have built up a large ministry to ex-offenders. Now I am one. I jostled about in the back of the van, handcuffed, as it jolted throughout the neighborhood. After I regained my composure, I felt my back pocket. What did they take? They hadn’t taken my phone or wallet. Hey, I can text! Who should I talk to? I immediately thought of Anthony, our group leader. He was a responsible guy and bore the weight of holding a band of activists together…which is a challenge! I just made his life more complex. Anthony and I go back a bit. We had journeyed a road together in the start of our church, but it didn’t work out. The cultural and racial issues were too big for us to bridge at that point in our journey. It took a couple of years for us to heal from the hurt and to clear the past. This freedom ride was our first real experience working together again, and I was committed to do my best to support him. He was my neighbor. Anthony is no stranger to law enforcement infringing on the rights of those he loves. I remembered how he told me about a no-knock raid on his father’s apartment that turned out to be the wrong address. It didn’t change the fact that his dad’s apartment was destroyed, and he was badly burned in the process as the flash grenade landed between his legs and exploded. Anthony had lived and felt the pain of law enforcement not doing their job correctly. I wriggled my phone out and thought about what to text. That summed it up. I waited for a response. I sighed a sigh of relief. I was taken out of the van when we arrived at the jail. 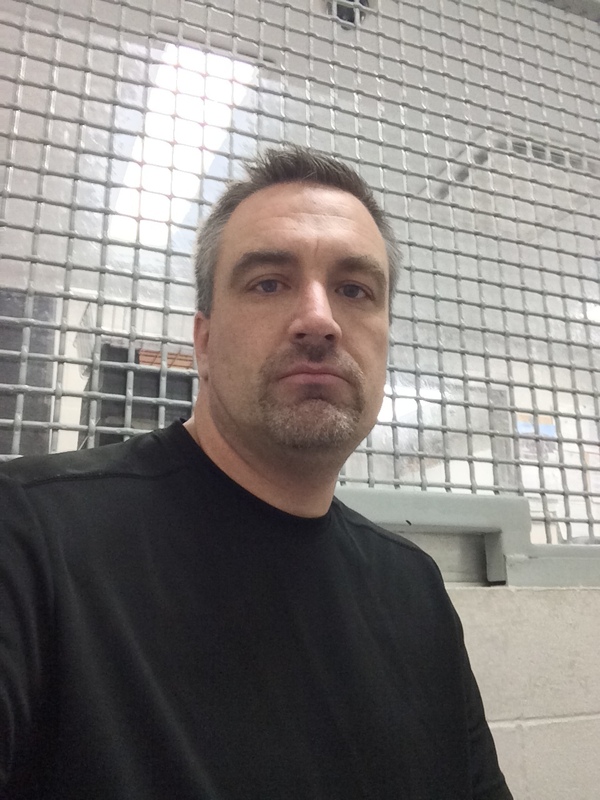 Immediately, they placed me in a holding cell where I would sit for the next two hours waiting to be booked. I struck up a conversation with the officer who was taking down my information through a small window where you could pass things back and forth. We were interrupted as a woman who was being held was getting released. She was African-American, and the officer informed her that a man had paid her bond of $750 as well as some fines. The total was over $1000. The officer looked up from his desk and said to her, “You’re not doing favors for him, are you?” She shook her head no. I thought how degrading it must be to be spoken to like a whore by a law enforcement officer. She was released and I said a silent prayer for her. At this time, I wanted to make a call to somebody I knew. 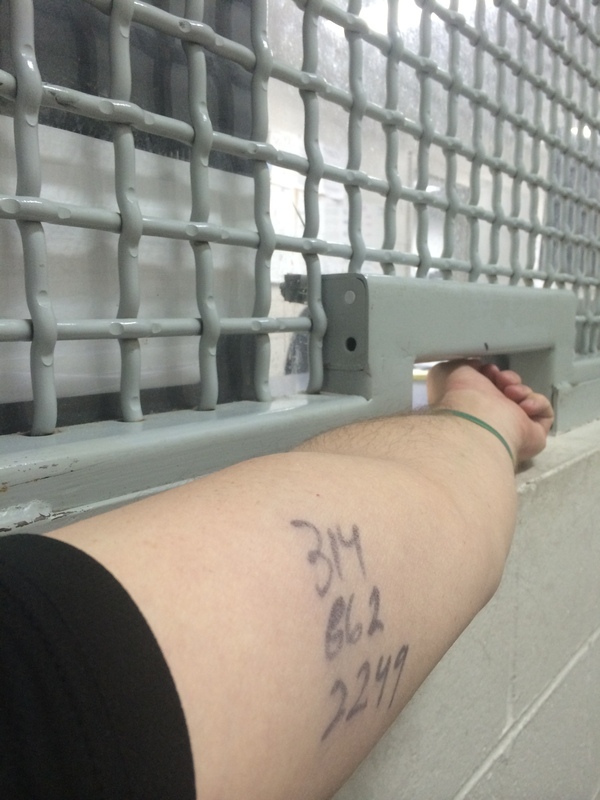 In our training, we were told to write a jail support number on our arm with a Sharpie in case we were arrested. I did it begrudgingly, knowing I would never need it and feeling like it was rather extreme. In fact, most of the training seemed over the top to me. “It can’t be that bad,” I said to myself. I was raised in a culture where it was part of your civic duty to support law enforcement. They were the good guys. Always. Now I was regretting not listening! I still had my phone and I tried calling the number. But who would’ve known that AT&T gets no reception in my jail cell. I asked if I could move to a place where I could get reception. “Nope.” I asked if I could use a jail phone. “Not until you are booked.” “How long is that gonna be?” “Never know.” Huh. Finally, the white female who arrested me came in after two hours and booked me. She took down all my vitals and then moved me from a holding cell into a real cell in the back of the police station. They took everything from my wedding ring to my shoelaces. On the way back to Cell 6, they told me I could grab a blanket. Thankfully, I did, as the cell was really cold. The steel door slammed shut behind me. No instructions. No conversation. And they left. Little did I know that I would be back there longer than I had hoped. I looked around. 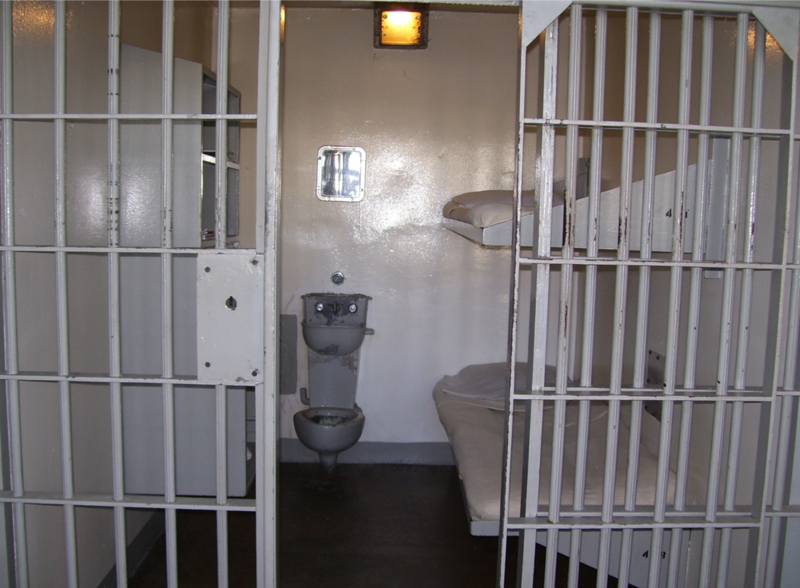 My gray cell had three bunks with vinyl mattresses, one toilet, and a small sink where you pushed a button and some water dribbled out so you could wash your hands. But other than that, no amenities. No pillow. No call button. No clock. No privacy. The one upside to this cell was that it had the famous phone you were promised. At last! But all that glitters isn’t gold. The phone is a 12” x 12” box that sticks out 2” from the wall. It is attached to the wall about 4 feet off the floor. I’m 6’2”. The receiver is in the box and you have to stick your head against the box to hear and to speak. I tried dialing with my left hand as my right ear was stuck up against the box as I bent over. Nothing happened. Then I saw a red button on the box. I pushed it. Ahhh! Dialtone! Gonna call my wife. “Wait…Wait…Wait…Wait…Wait…” This went on for a minute. I waited fifteen minutes. Same deal. Same words. I was frustrated. This time, I called again right away. Wasn’t gonna wait another fifteen minutes. I would’ve thrown the phone on the floor but it was a box attached to the wall. I realized that while prisoners have the right to make a phone call, it means nothing when the phone doesn’t work for you. What to do now? I looked at my arm. The jail support number was on my inside bicep. 314-286-2249. I went through the dial routine. Got a busy signal. Tried again. Didn’t work. By this time, I was wondering if I could ever figure it out. My back was aching from stooping over with my head up against the wall. Warmth filled me. A kind voice. I spent a couple of minutes on the phone. Hattie was her name. She had a calming effect on me as she explained the process. She told me she’d call my wife and talk to her, as well as reach my team and tell them where I was being held. I informed her that the booking officer thought bond would be set at $300-$500 cash. How that was going to happen, I had no idea. However, she informed me that the bail was only going to be $100. She told me that a group of people around the country were giving money to help bond people out of jail who were involved in the non-violence movements. Yet, bond wasn’t just a financial issue, it was an access issue. One had to get the money in cash delivered to the right place. Hattie was a loving neighbor. She assured me they would pay the bond, send a driver to pick me up, and have an iPhone charger ready so I could call my wife. Wow. What a great group of people. I became grateful to the unseen army volunteering their money and time to see justice come to our citizens. It was 3:30pm. Sounded like I’d be out in an hour. I laid down on my bunk. It was cold. At the end of the hallway, the SEC game was on. Mississippi State vs. Ole Miss. I’m an Alabama fan, so that game was slightly interesting to me. I had to put my face up against the bars in order to see the screen from my prostrate position. If I positioned my head just right, I could see most of it. The game kept my mind off of the minutes and eventually the hours that slowly ticked by. I saw a commercial for the show that was coming on after the game, “The Flight Before Christmas” cartoon. I prayed I would get out before that show came on. But it still wasn’t half-time, so I was pretty sure I was in good shape. I heard a door open. Down the hall walked an officer. I sat up. 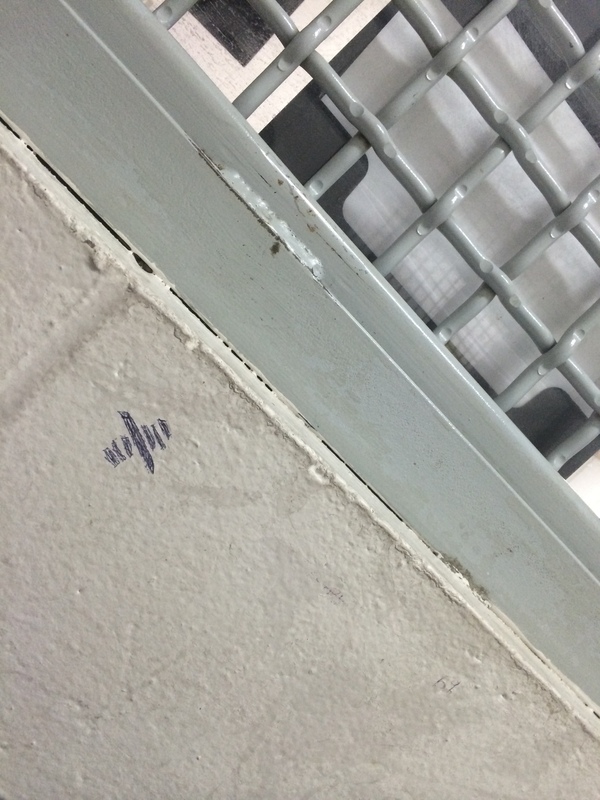 He stuck a drunk man into the cell across from me and moved out quickly. The man curled up in a blanket and went to sleep. Third quarter came. Still nobody was there. Jail cell similar to the one I occupied. Minus the desk. I started to pray. “God, what are you doing with me through this? What am I supposed to experience and learn? What are you trying to tell me?” I listened. He started to speak. It was now 5pm. I hadn’t eaten since 10am. I wondered when the dinner bell would ring and I’d get my first taste of jail food. I work with a non-profit where we help 800 men and women a year getting out of prison. When you bring up the food, they groan. 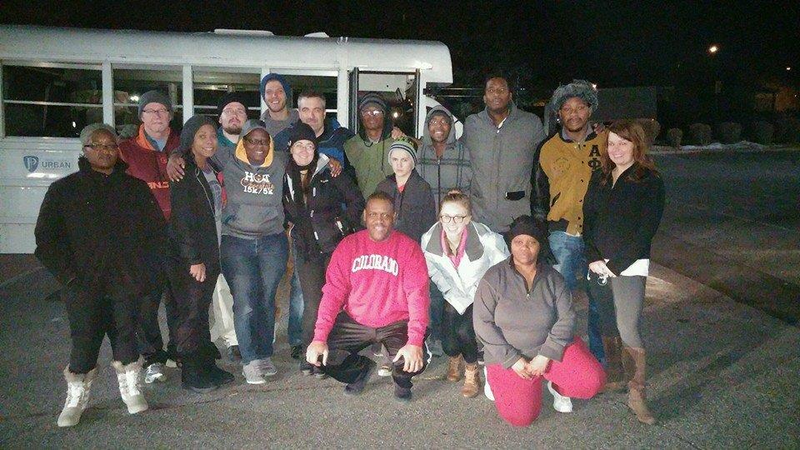 We feed them a warm meal in a family atmosphere every Thursday night as part of our re-entry program. At least I would have some small common ground with the men I’ve grown to love. The door at the end of the hallway opened. They came and opened the cell for the drunk guy. “You sobered up?” “Yep.” And he was out. The officers didn’t look at me. Dinner must be at 6. Fourth quarter started. No bond money yet. No food. No sign of life. I was starting to feel very hungry. I love food. And I don’t do well when I go a long time without it. While my small hunger pangs started, my mind flashed to those throughout the decades who suffered for long periods of time in poor conditions for the cause of justice. I can’t imagine. The whole experience started to answer the “why” for me. It’s one thing to study injustice. To watch a documentary about it. But it’s a completely different thing to experience it personally. I had entered a parallel universe and I would never be the same. It looked like Ole Miss had the game under control, and I started to lose interest. Just as I was dozing off to sleep, a voice came across the television that roused me. This is what I remember. I threw off my blanket, pressed my face against the bars, and squinted at the television. He had my attention. I felt he was speaking right to me. 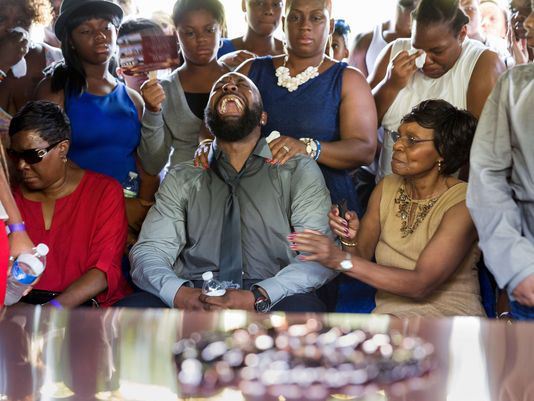 I remembered his anguished, weeping face from the picture at his son’s graveside. For the first time, the shame of it all started to lift. I prayed again. This time, it was pretty clear. God was saying, “I ordered this. I picked you. I wanted you to feel what it was like for many I’ve called to be your neighbor. Because you need to know how to love them. And they need to know how far you will go to love them. There is no need to feel shame. I am with you.” It was the first time I felt the honor of suffering in the cause of righteousness. Honored to be part of a line of people who took one on the chin for what was right. And then it happened. The door opened. I was told that bond had been paid and I was being released. Somebody I didn’t know paid for my freedom. I felt my Gospel preaching would forever have fresh eyes as I proclaimed the one who died for the greatest freedom a person can ever experience – ultimate redemption. They ushered me in for a mug shot and fingerprints. I was given what looked like a receipt listing my charge – Obstructing Public Places. Interesting. If someone can explain to me how standing on a sidewalk on a closed street is obstructing some place, please let me know. It’s ridiculous. I’m sure people will come at me and say, “You were in the wrong place at the wrong time.” In other words, “If you quit hanging out with hoodlums, you wouldn’t be in jail.” I can understand that conditioned thinking. But the more I think about it, I believe I was in the right place at the right time doing the right thing. My court date was assigned for January 27th at 7pm. I signed some paperwork saying that my information was accurate, and I was ushered out the back door with a clear bag holding my belongings. They told me someone was here to pick me up. However, I’d have to walk out the back of the police station and walk all the way around to the front to connect with them. I looked at the clock on the officer’s computer. It was now 8pm. The whole ordeal had lasted seven-and-a-half hours. No food. No drink. No contact. I walked around to the front of the station. As I turned the corner, I saw Dr. Jeff Cook, the Academic Director in our fellowship program. And Paton. My 12-year-old son was standing there with his backpack on. They were standing in the foyer, but they were looking in towards the station and didn’t see me coming around to the front door. When I opened the door, Paton turned and saw me, and I lost it! I held him for a good minute and told him I loved him and that I had hoped he wasn’t scared. He cried. All was good. He helped me re-lace my shoes and then we jumped in the van. We went to Panera bread and I ordered $22 worth of food. Great meal! I called my wife. She was her gracious and kind self. “Babe, some pretty good people have spent time behind bars for good causes.” I’m not sure she knew what she was getting into when we got married, but she’s the perfect match for me. As I ate my sandwich, I sat there and pondered. My situation was a microcosm of what was being talked about on the streets. If what I just experienced was what the minorities of St. Louis face at the hands of law enforcement, this whole thing makes sense! We headed back downtown as there was a demonstration happening in front of the police station. When we disembarked, the Denver Freedom Ride group came running over. Hugs. Shouts. Tears. I’ll never forget that moment. Jordan hugged me. Anthony embraced me. “Jason, I’m proud of you and I love you. We’ve come full circle.” Antoinette hugged me and said, “You now feel what I feel all the time.” Curtis, one of our Fellows, said, “This is why I came to Denver. This is why I call you my pastor!” Sarafina, Lacey, Katie, Vince, Regina, Grant, Speech, Niles, Elizabeth, BC and Evan -the whole Freedom Rider family became my family. Perhaps one of the more moving pictures I saw of the group that was taken while I was locked up was one snapped by BC Serna, our videographer. From what I heard, Paton was teary-eyed as he saw me getting loaded into the van. The group surrounded him, spoke to him, and embraced him. This picture will always mean the world to me. The looks on the faces. The embrace by my newfound friend, Speech. 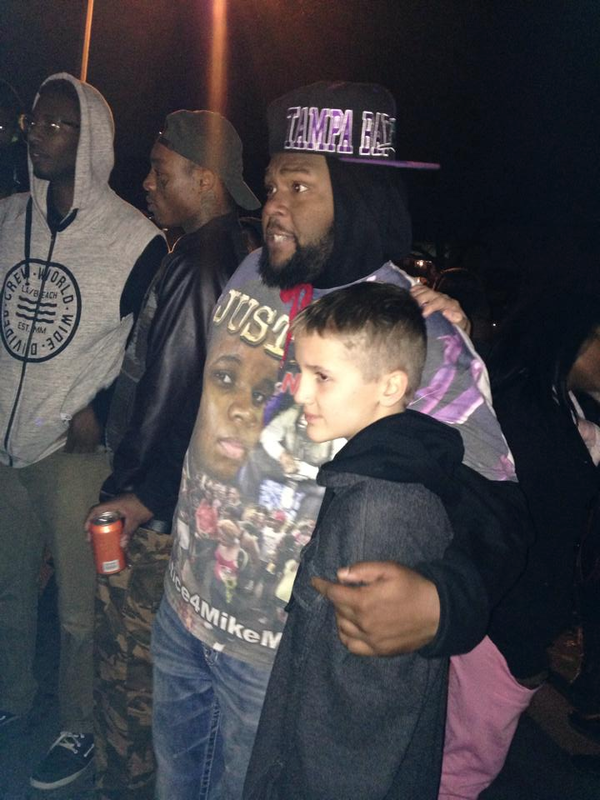 From there, they visited the site of Michael Brown’s death, and from what I heard, my little guy made an impact! While eating in Panera, Dr. Cook handed his phone to me and played a video he shot of Paton at the site. He said, “You should have seen the crowd of young African-American men who welcomed and affirmed and cheered him when someone said he was the son of the man who got arrested today! They saw him almost as a hero, engaging issues of injustice with his dad at such a young age. It was amazing. People in the crowd were taking his picture.” So proud of him. And I’m so glad that he had some new neighbors loving on him. Then, it was all business again. We were to go join a demonstration in front of the police department. As we walked down the sidewalk, I wasn’t so sure I was ready to jump into the fray again. I looked across the street and saw eight guys in camo fatigues with bright yellow sticks that were three to four feet long. If one of those guys was like the guy who ordered my arrest, I would be in physical pain. Fear overcame me. Antoinette pulled me towards the protest. I pulled away. For the first time in my life, I felt a genuine fear of law enforcement. Thankfully, we left before long. We associated ourselves with the peaceful, non-violent protestors in Ferguson, but there are also revolutionary communist and extremist factions that just try to stir up trouble. They are a small group compared to the rest, but they get a lot of attention because they are so violent. We didn’t want to associate ourselves with that group nor be near their potentially explosive actions, so we left. Frankly, I was glad for the emotional reprieve. I went to bed exhausted, surrounded by a band of new and old friends. We had quite the day. On Sunday morning, we participated in a non-violence training at a corner coffee shop. The leader gave us the speech again about not getting arrested and how they can dream up charges against you. “I was booked for third degree assault and I was praying,” he said. This time I was listening. I think I’m finally getting it. I can’t explain the relief of having someone just believe you when you tell them your side of the story! I have heard my friends of color share hundreds of stories about how they feel like they have to regularly prove themselves. Because of their race, people don’t believe them. After our training, our group went to a church pastored by Dr. Traci Blackmon, a fiery preacher who was speaking from her heart. She’s labored for years on justice issues in this town. She talked about the hate mail she had received over speaking out about injustice and the frustration of nobody listening. She said, “People always ask me why we are yelling. I tell them it’s because when we talk nice, nobody listens!” I laughed as I could identify with her words. What a joy to connect with my extended family in the body of Christ. Neighbors from across state lines were loving me in a moment of need. As the Ferguson case continues to press itself on the national conscience, I want to encourage people with the words of Jesus echoed by my mentor, Ted Travis: Love Your Neighbor. Love your black neighbor. Love your white neighbor. Love your conservative neighbor. Love your liberal neighbor. Love your neighbor crying out for justice. Love your police officer who’s trying to do his job. And if God lays someone on your heart to reach out, loving usually starts by listening. It’s how someone begins to hear you say, “I love you.” If you desire to love your minority brothers and sisters, begin to engage in justice issues. It goes a long way when they see you sacrificing for a quality education system, lobbying against mass incarceration, standing up against racial profiling, and a host of other issues. This experience has changed me. Scripture and Ferguson have imprinted a deeper burden on my heart for justice. I cannot escape. This isn’t a personal preference thing. It’s not a Jason thing. It’s not even a Black thing. It is a God thing. And to the officer who ordered my arrest – I forgive you. I don’t know what you were going through that day. It doesn’t matter. God did what he wanted to do and I’m ok with that. You are part of a system, as we all are, that has divided us far too long but, ultimately, you are my neighbor too. 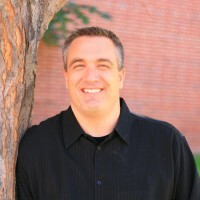 Jason Janz is an elder at Providence Bible Church in Denver, CO where he lives with his wife and four boys in Northeast Denver. Jason can be reached at jasonjanz@gmail.com. "Jason Janz is challenging the status quo with innovative solutions to urban poverty. A pastor, advocate, father, and friend… Jason is passionately dedicated to seeing neighborhoods without poverty come to fruition. In everything he does, Jason is focused on re-weaving the fabric of a thriving community in Northeast Denver in the spirit of Jesus Christ."